If you are interested in the participating in future programs, please contact Michael at michaelpealow@gmail.com and we’ll add you to our contact list. 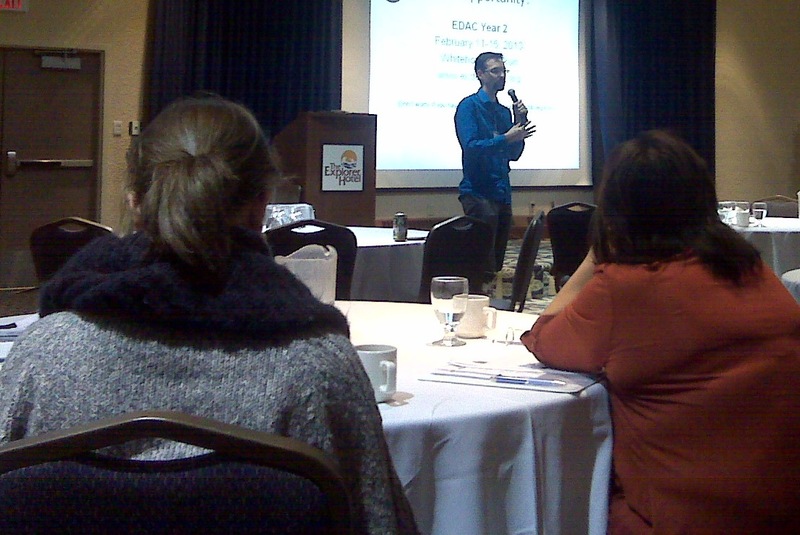 (EDAC 2012) The Economic Developers Association of Canada 2012 was held in September/October in Iqaluit. There were two Yukon participants, both of whom spoke at the conference. It was an excellent conference with many practical applications to economic development in the Yukon. CNED has lunch meetings every month, giving you the opportunity to network with your peers, learn about what they’re up to, and informally discuss a topic of relevance to economic development in the Yukon. Keep your eye on this site for announcements about the dates and locations for the lunch meetings or visit the Yukon Economic Development Forum LinkedIn page. The Yukon Chamber of Commerce holds monthly lunch lectures on topics of relevance to economic development in the Yukon. Visit Chamber website to learn more.